Groovy UV is the UK No.1 for Blacklight UV productions. 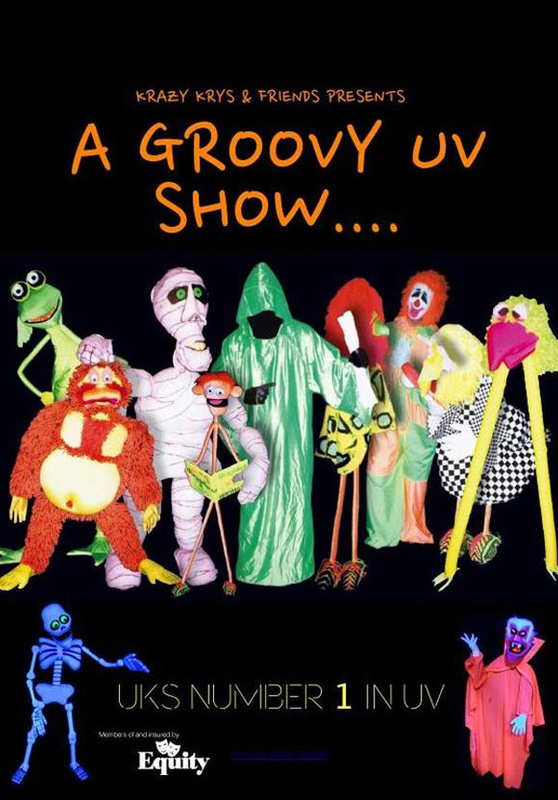 With a huge variety of material for different target audiences, over 300 original characters, effects and illusions to boggle the mind, Groovy UV is the first choice for Specialist UV Presentations & Effects. Be sure to join us for this spectacular show, LIVE at Sunnyvale.